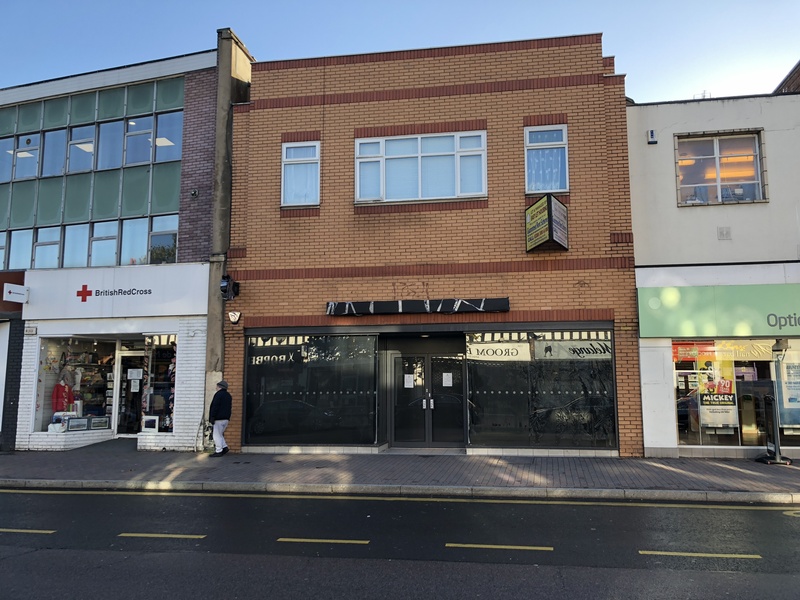 The premises comprise a mid-terrace double fronted unit set out over ground floor level and currently arranged to provide large open plan sales area, commercial kitchen/wash up area, customer WC’s, store and staff facilities. Externally there is forecourt seating area upon the pavement and a loading bay/parking area to the rear. The premises have been fitted out to a high standard throughout. 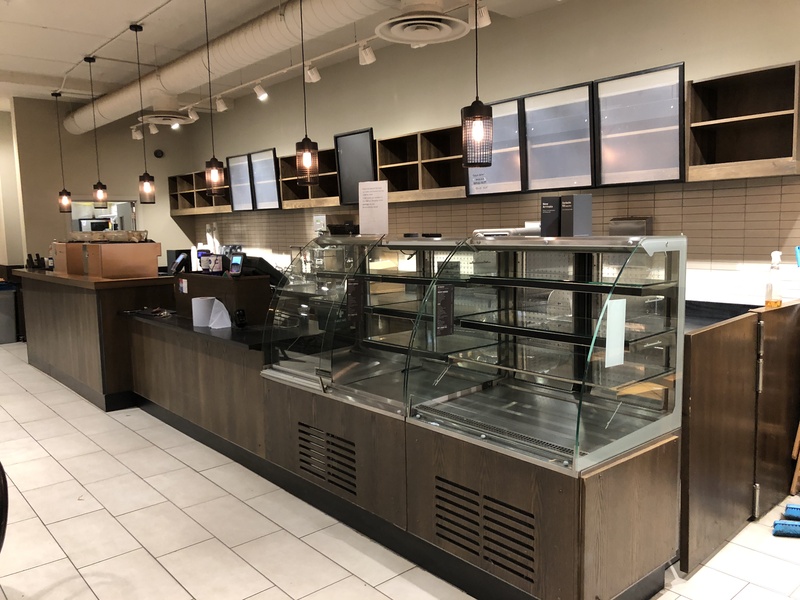 Features include full height glazed frontage, ceiling mounted air conditioning/heating units, trade fixtures and fittings, catering equipment, stainless steel work surfaces, ventilation, floor coverings and food display units. A premium is sought by our client. 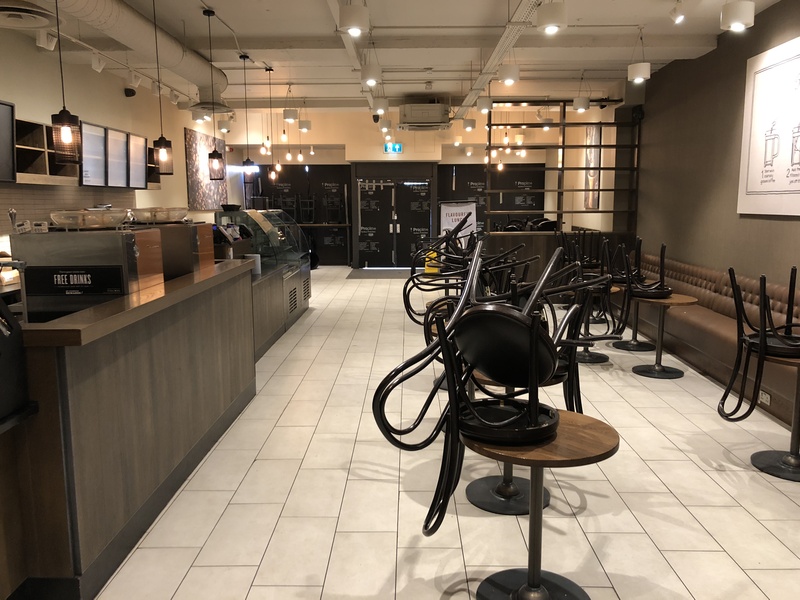 We consider the premises to be suitable for continued use as a coffee shop alternatively would suit a restaurant or retail operator. Floor plans are available on request. The property is situated in a prominent position within the center of the High Street. 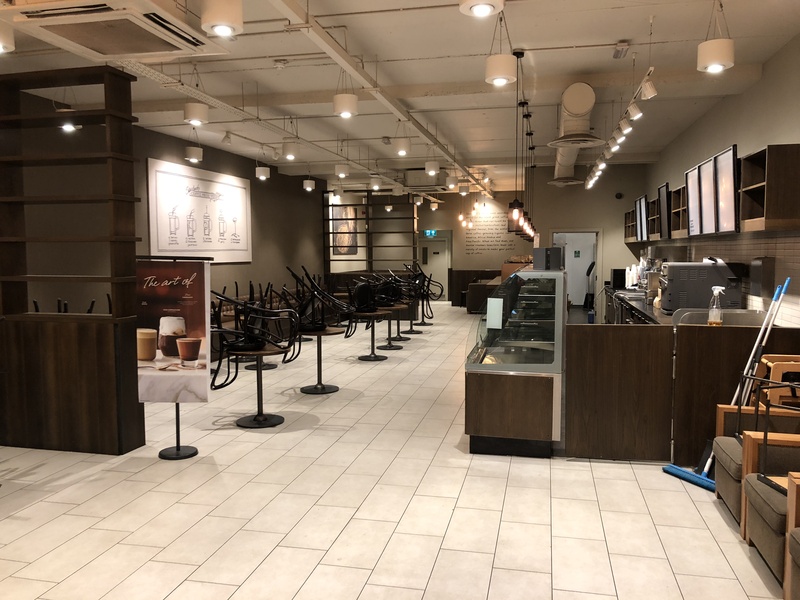 Surrounding occupiers include Specsavers, British Red Cross and Iceland Frozen Foods as well as the Walnuts Shopping Precinct where tenants include the Odeon Cinema, Easy Coffee, Nandos, B&M Bargains, Bella Italia, Creams and Premier inn. The premises are held upon a full repairing and insuring lease expiring 14th November 2025 at a rental of £32,000 per annum exclusive, subject to review in 2019. The lease is granted within the provisions of the Landlord & Tenant Act 1954 (as amended). A copy of our clients lease is available on request.